Until the war in Iraq, Special Forces were the military's counterinsurgency experts. Their specialty was going behind enemy lines and training insurgent forces. In Afghanistan, they toppled the Taliban by transforming Northern Alliance fighters into cohesive units. 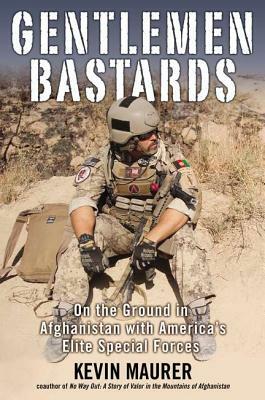 Award-winning journalist Kevin Maurer traveled with a Special Forces team in Afghanistan, finding out first hand the inside story of the lives of this elite group of highly trained soldiers. He witnessed the intense brotherhood built upon the Special Forces rigorous selection process and arduous training that makes them the smartest soldiers on the battlefield. He also discovered the boredom of chasing an elusive enemy and managing third world cops and the infighting between teammates and other units. Kevin Maurer is an award-winning reporter who has covered special operations forces for seven years. He has been embedded with the U.S. Special Forces in Afghanistan six times in the last five years and spent a month with special operations units in Africa in 2006. Maurer covered the invasion of Iraq and Afghanistan s first parliamentary election. Most recently, he covered the Bush Administration s surge into Baghdad, and wrote the definitive piece about the transformation of Khost from a terrorist haven to a working province in Afghanistan."